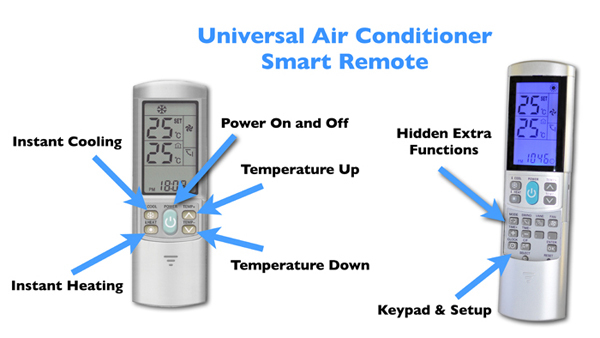 Smart Remotes are designed to operate all brands of air conditioner. This page shows you how to pair/sync any model of Aircon Off Smart Remote with any brand of Air Conditioner. 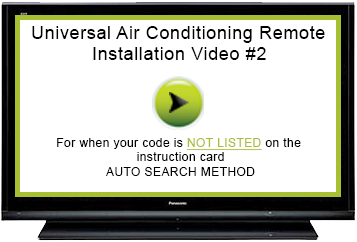 Use this method for all air conditioner brands listed on the instruction card in the Smart Remote packet. Each brand on the list can have several Smart Remote codes. 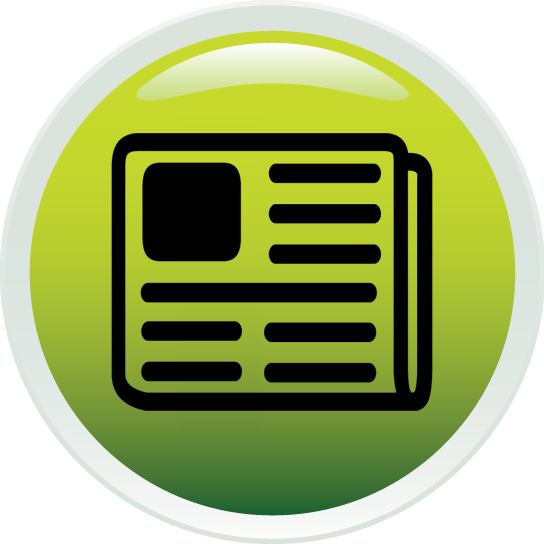 Each code in the list is separated by a comma"," or hyphen"-". Commas separate individual codes and hyphens show a range of codes. For example: 0200-0205 means 0200, 0201, 0202, 0203, 0204, 0205. Use this method for pairing a Smart Remote with any AC brand that is not specifically listed. How to pair/sync a Smart Remote when the brand/type of your air conditioner is NOT listed on the pairing code brand list that came on the instruction card contained in the Smart Remote packaging. This uses the Auto Search Function of the Smart Remote where it will automatically search for a matching code that will operate your AC. Download: Smart Remote Air Conditioner Pairing Code Brand List showing most popular AC brands.